POW! Entertainment - Hollywood’s biggest names from the stage, screen and television, along with luminaries from the world of comics and thousands of adoring fans, gathered Wednesday evening at the iconic TCL Chinese Theatre in Hollywood to celebrate the life and career of legendary storyteller, Stan Lee. “Excelsior! A Celebration of the Amazing, Fantastic, Incredible & Uncanny Life of Stan Lee” was a fitting tribute to the man many simply referred to as “Stan,” but who was revered as a hero like the many unforgettable ones he created. 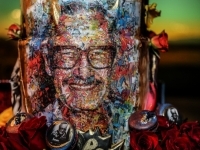 The historic, star-studded event was attended by dozens of Stan’s closest industry friends, as well as many creators and entertainers who paid respects and shared fond memories of the man who influenced their lives, many since childhood. Kevin Smith, Mark Hamill, Laurence Fishburne, Seth Green, RZA, Black Eyed Peas apl.de.ap and Taboo, Clark Gregg, Felicia Day, Wesley Snipes, Phil Lord, Amy Pascal, Bill Duke, Wesley Snipes, Los Angeles Mayor Eric Garcetti, cast members from Marvel’s “The Runaways,” cast members from FX’s “Legion,” and Fox’s “The Gifted,” were among many who shared personal stories, read Stan’s favorite poetry or performed during the historic tribute. 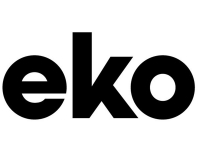 Eko - Eko, in partnership with Warner Music Group, debuts "The Creator Incubator," a series of ten interactive pilot episodes made by emerging filmmakers at the forefront of new ways of storytelling. Premiering today, these episodes are available to watch for free on HelloEko.com and via the Eko Presents app on the App Store and Google Play.